The Best Amigurumi Youtube Channels from thousands of Amigurumi Youtube Channels in our index using search and social metrics. We’ve carefully selected these youtubers because they are actively working to educate, inspire, and empower their audience with frequent updates and high-quality videos. About Youtuber Follow this channel to watch the latest Amigurumi crochet videos by Yolanda Garcia Naranjo. About Youtuber Here you will find crochet amigurumi tutorials for patterns. Most of them are full length tutorials from the first stitch to the last stitch! About Youtuber In this channel we teach you to make the amigurumis step by step in a very easy way that you will see the results after having finished it, we will tell you how to embroider eyes, put hair, make the frame so that it has flexibility, which material is suitable for working amigurumis, what kind of hook you should use and many other things. Follow this channel to watch the latest videos on Amigurumis by Petus Ochoa. About Youtuber Passion for crocheting and amigurumi. About Youtuber Lessons of crocheting and amigurumi, as well as other types of needlework. About Youtuber Bia Moraes creates various amigurumi design patterns, toys, dresses using crochets. About Youtuber Follow this channel to watch the latest videos on Amigurumi Crochet toys. About Youtuber Channel where you can learn to do a lot of amigurumi, and whatever belongs to the world of crafts. About Youtuber Follow this channel to watch the latest Amigurumi videos. About Youtuber Dedicated to amigurumi and all other crafty things. Your go-to channel for all things nerdy and crafty. It is about amigurumi, anime and manga illustration, crochet, and DIY cosplay. About Youtuber Let's crochet along, and making doll together. This channel is mainly focusing on amigurumi or crochet doll and other crochet projects. About Youtuber Hi, I am Kristi Tullus. I stumbled upon a photo of a few tiny crocheted animals and thus found myself in the wonderful world of amigurumi. I have been dabbling in amigurumi making since the beginning of 2012 and have learned a few things, mostly how not to do things. Follow this channel to watch the latest videos on Amigurumi specific crochet tutorials, patterns, tips and tricks. About Youtuber Welcome to Amigurumi Channel! Here you can find free patterns for those toys and dolls that I crocheted by myself and other usefull videos. About Youtuber Follow this channel to watch the latest videos of Amigurumi Crochet toys, Handmade toys, Stuffed toys and Crochet animals. About Youtuber Welcome to Micro Amigurumi Crochet Channel. Bring to you the beautiful handmade crafters world for who love handmade things. About Youtuber İn this Chanel we Will make many different models hand made patterns amigurumi models. About Youtuber Learn crochet tips, the basics of crochet, and how to create cute amigurumi projects with simple video instructions! Sweet Softies is a mini amigurumi and crochet store that provides cute patterns, plushies, and dolls. About Youtuber Your DIY craft channel for crochet tutorials, crochet patterns, and amigurumi patterns. My name is Sharon and I am a crochet designer who creates adorable amigurumis and cute crochet patterns. About Youtuber lilleliis company has been designing handmade toys and crochet patterns for moms to make unique toys for their own kids. Our toys are combining Japanese amigurumi technique with teddy bear tradition so popular in Europe. Bigger than the classical amigurumis, they still are very simple to make. Our toys are inspired by children and meant for playing. About Youtuber This channel is all about crocheting amigurumi. 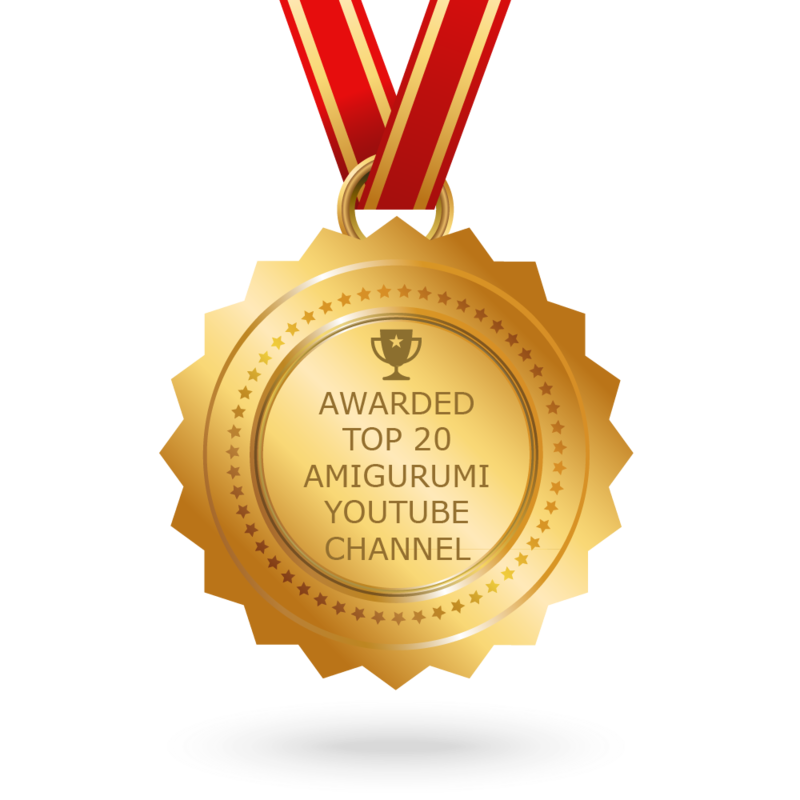 CONGRATULATIONS to every youtuber that has made this Top Amigurumi Youtube Channels list! This is the most comprehensive list of best Amigurumi Youtube Channels on the internet and I’m honoured to have you as part of this! I personally give you a high-five and want to thank you for your contribution to this world.